Join us for an introduction and overview of the new innovative and in-depth program inspired by His Holiness the Dalai Lama’s vision of secular ethics compatible with modern science. 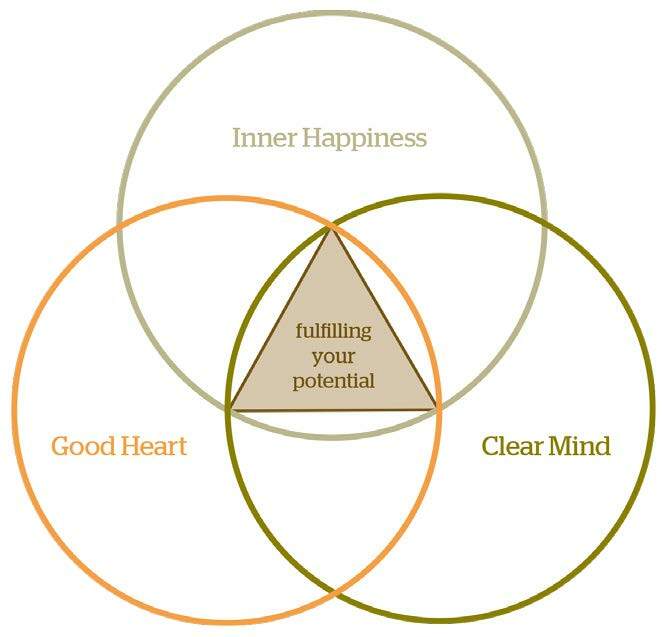 Developed by the Foundation for Developing Compassion and Wisdom, A.R.T of Fulfillment provides an experiential understanding of our human potential, focussing on the three interconnected themes of Inner Happiness, Good Heart, and Clear Mind. In this three-hour introduction, Venerable Tenzin Chogkyi will introduce participants to developing basic awareness and inner happiness. Vajrapani Institute will present the ART of Fulfillment retreat from June 30–July 9. This retreat will be co-lead by Venerable Tenzin Chogkyi and Don Handrick. Venerable Tenzin Chogkyi became interested in meditation after reading "Be Here Now" and "Autobiography of a Yogi" in the early 1970s. For the next 20 years, she describes her spiritual path as meandering and haphazard that included several dead ends. In early 1991, she bought a one-way ticket to India with the intention of meeting His Holiness the Dalai Lama. In late 1991, she became co-director of Vajrapani Institute in California. 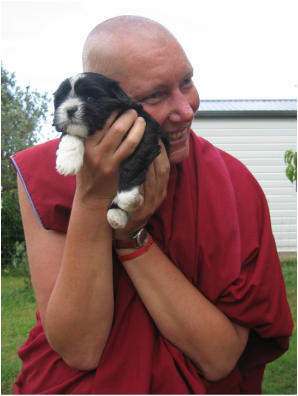 In 1995, she began working at FPMT International Office, first as co-director and then later as center services coordinator. In early 2000, Venerable Tenzin began a long, solitary retreat that lasted 6½ years. She decided to become ordained in the third year of her long retreat and left retreat for a quick trip to India in 2004 for novice ordination with His Holiness. Since 2008, she has been teaching at various centers worldwide. Most recently, she was the resident teacher at Gendun Drugpa Center in Canada and is now resident teacher at Vajrapani Institute.